Julie Sariana, Sincerely Jules - Julie Sariñana founded Sincerely, Jules in February 2009. It initially started as a creative outlet, where she compiled all of her daily inspiration, thoughts, and photos of her personal style. Over the years Sincerely, Jules has developed into a top destination for style inspiration, signifying Julie as a top international fashion and lifestyle influencer. 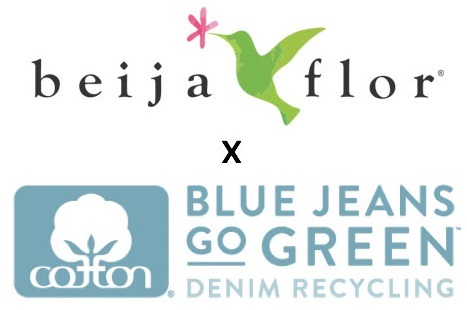 Julie is also the owner and Creative Director of the clothing line Shop Sincerely Jules. An exotic look and comfortably casual sense of style. Blair Eadie, Atlantic-Pacific In 2010, as a hobby, Blair created Atlantic-Pacific to add perspective to the growing conversation about trends & style. Flash forward to today, she has graciously worked with an amazing list of brand partners including CoverGirl, Gucci, Nordstrom, Target, Tory Burch, Sephora, and many, more. 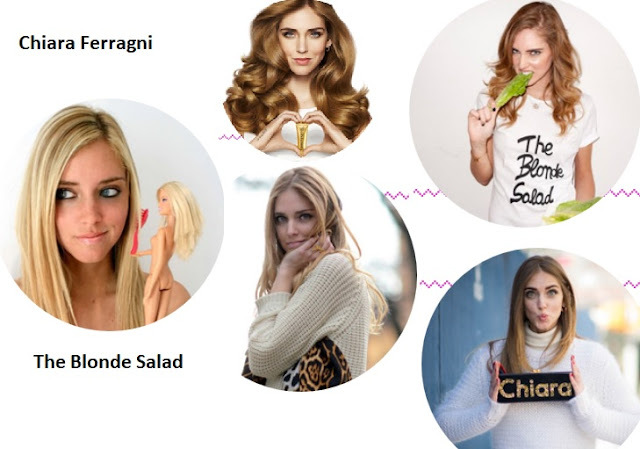 Her savvy writing and perfect frame for fashion has launched her into a position of being a top influencer for clothes, shoes, and beauty products. Elegance comes to mind. Chriselle Lim, The Chriselle Factor - In December 2011, Chriselle founded The Chriselle Factor to chronicle her daily musings and personal style. She also launched her YouTube channel to empower and inspire women all over the world. She helps them discover their true beauty and gives them the confidence they need to feel beautiful. Chriselle is considered by many as the #1 fashion expert on all of YouTube. Chriselle Lim started off her fashion career as a wardrobe stylist, she logged in years of editorial shoots with prominent fashion books and celebrities. So it is fair to say that she has industry experience and is more than just a pretty face. 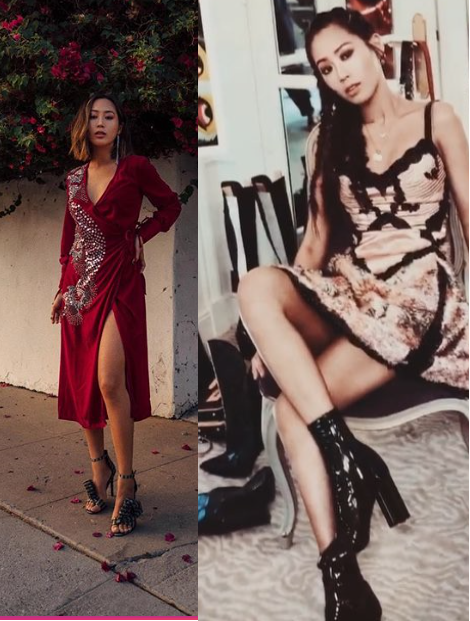 Aimee Song, Song of Style - A fashion and interior design Blogger / YouTuber featuring videos focused on fashion, design inspiration, DIY and more. Wendy Nguyen, Wendy's Lookbook - Wendy finds inspiration in art, nature, culture, architecture, food, people, and music. And for her, fashion is a compilation of all that. Fashion is a vehicle for her to play with shapes and colors in order to uncover my personal style. Does clothing worn by attractive people look better? The top fashion bloggers who inspire cult followings with their #OOTD pics are just as influential as movie stars. Instagram, Facebook, & Youtube have made many fashion blogs popular. Much of which due to the "images" posted. Let's face it, if you are a beautiful women (or man) it helps make a better outfit of the day photograph. Note: "all" fashion bloggers are beautiful in their own special way. People of all appearances are capable of influencing fashion. That is for certain. Do you think that attractive people own the most popular fashion blogs? View some more of the top fashion blogs from around the globe. Secret to creating an influential fashion blog. By the way, selfies are helpful sometimes, but these professional style blog beauties have good photographers lending them a hand. If you plan on posting OOTD photographs, you may want to find a friend with a camera. Pretty people take good selfies, but it is better to have a photographer lending you a hand. If you are curious as to why I don't have a large following on Instagram, Youtube, Facebook, and Pinterest, it is because I am ugly. But that is OK, because I am attractive on the inside. OK, here are a few more sites you should visit if you love clothing, footwear, and accessories as much as we do. Gala Gonzalez, Amlul by Gala Gonzalez - NYC based Fashion influencer, DJ and designer has an indefinable je ne sais quois that just gets it right: highly personal, effortless style documented regularly, broken up with enough other content to keep readers coming back for more. Nicole Warne, Gary Pepper Girl - Hailing from Australia, Nicole Warne is a leading digital influencer with a global audience of over 2.3 million. Having established a successful e-commerce and digital publishing platform by the age of 20, Nicole has gone on to collaborate with brands as a creative director, social media consultant, brand consultant, and digital strategist, counting premium brands Chanel, Dior, Louis Vuitton, Valentino, Chopard, Cartier and Net-a-Porter amongst her list of clients. Jessica Stein, Tuula by Jessica Stein - A personal diary of wanderlust and an overflowing wardrobe. Danielle Bernstein, We Wore What - Getting dressed in the morning should be the easiest part of your day—something native New Yorker Danielle Bernstein proclaimed when founding her now cult-status style blog, We Wore What. The site began as a daily dose of outfit inspiration before growing into an aspirational—while still relatable—aesthetic for all things coveted. Negin Mirsalehi - The Dutch blogger, started her blog in 2012 after completing her master's degree (yes, beautiful and smart as well). She is possibly the most attractive fashion blogger of the year. Her 2.9 million (and growing) Instagram followers and much-read blog have attracted the likes of Bebe, Philosophy, Revolve Clothing and more. Who will be the most influential fashion blogger next year?